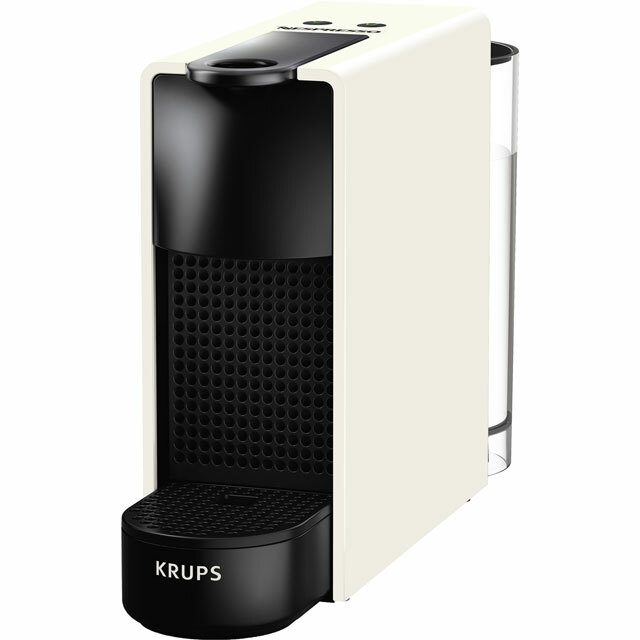 Prepare your luxurious coffees at home with this black Nespresso® Essenza machine by Krups. This model works with the full range of Nespresso® coffee capsules, so you can experiment with a range of delicious flavours. It has a fast heat up time of just 30 seconds and an automatic shut off feature which turns your machine off after 9 minutes of inactivity. This means you’ll never have to worry about accidentally leaving it on or wait too long for it to heat up again. 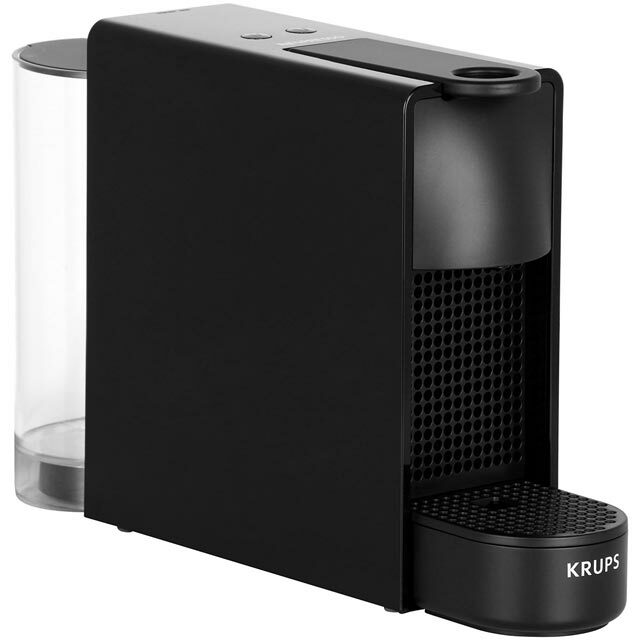 You can prepare both espresso and lungo coffees at the touch of a button too, with the programmable coffee size feature. Register your machine online with Nespresso® to activate your warranty and join the Nespresso® Club for exclusive, member-only perks. Excellent product. Simple/easy to use/assemble. Good value and does exactly what you want it to do! Great coffee machine, excellent delivery service! Great coffee machine, excellent delivery service! Highly recommended! 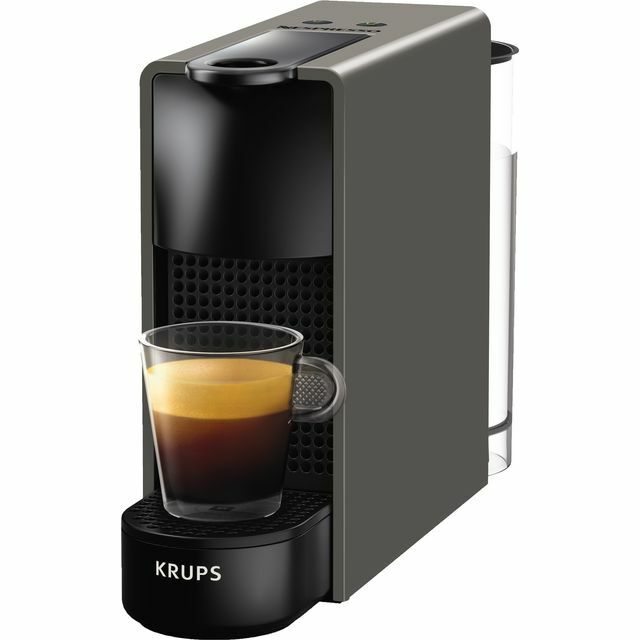 A stylish Nespresso machine that will not take much space on your worktop. So happy with this purchase. It looks smart, packs a punch and my partner was so happy with it. Would recommend to anyone. Very happy with AO’s delivery service too. Ideal size, fits in my kitchen perfectly. Coffee is lovely although I haven’t figured out the right cup size for the right cup as the shots produce a small amount.